In the summer of 2014 we decided to try our luck at getting hold of some tickets for Wimbledon. 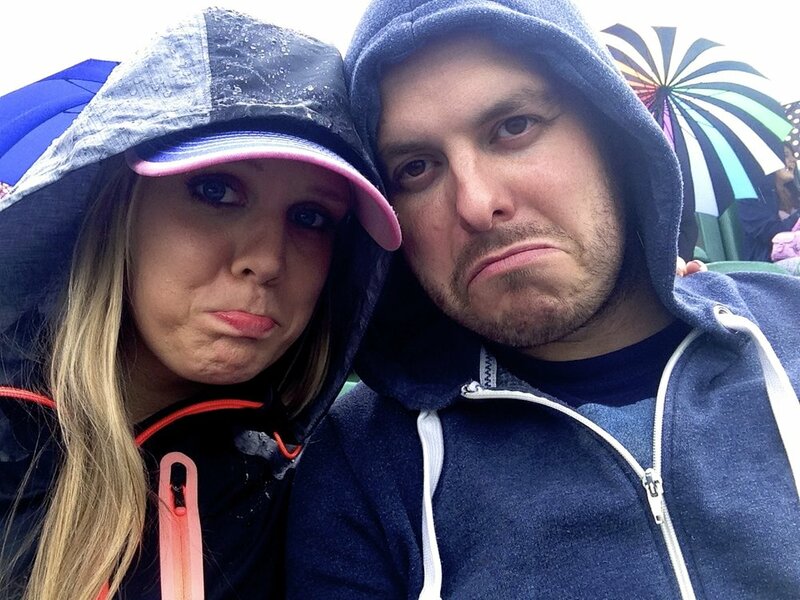 It was a lovely summer's week of weather in London so we decided to head down to Wimbledon, buy a cheap tent and camp out overnight to join the queue with thousands of others. The camping in itself was a wonderful event. 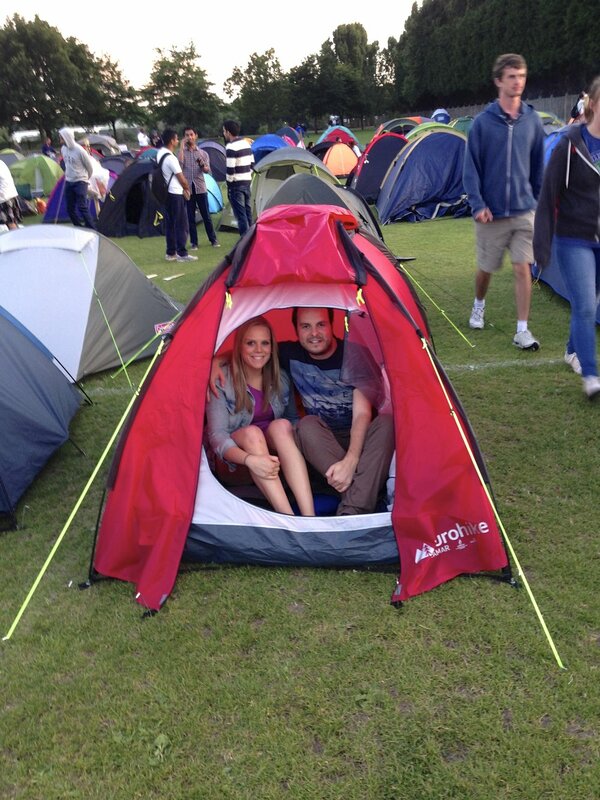 We had the misfortune to pitch up next to a seasoned Wimbledon go-er who just so happened to have the same tent as us. So rather than just leave us to our own devices she insisted on giving us detailed instructions on how to construct said tent. She was a Wimbledon die-hard, there every year, we were amateurs and vastly under prepared for the nippy night ahead. The next morning we awoke to more glorious sunshine, packed our tent and got in line for the tickets. After a couple of hours of waiting we managed to secure a spot on Court 2. We'd be watching Milos Raonic play Lukasz Kubot in the Men's Single Third Round followed by America's Bryan brothers in the Men's Double tournament. Or at least we thought we would. By the time we got to our seats the weather had started to turn. Before long Raonic and Kubot were out warming up, and then the action started. We saw the first couple of games as both players started to get into their stride. Then came the rain. 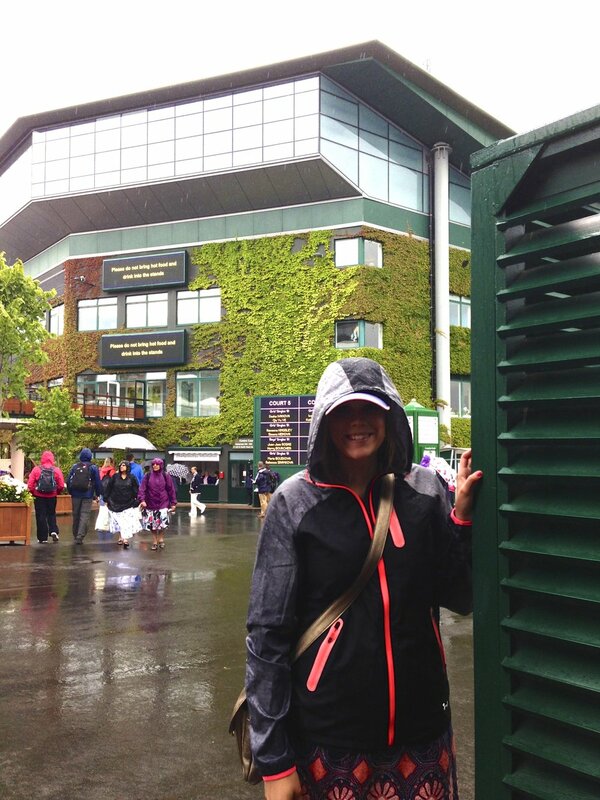 The players left the court, the covers came on and we retreated to drier land. This happened twice more, with both times the players coming out, warming up again and then having to leave. Sadly, the rain was in for the day and after a few hours of waiting we had to leave. Our first adventure of Wimbledon resulted in us seeing just 7 minutes of competitive tennis. Even so, it was still a great experience and we're sure we'll be back again in the future.